The children have been safely returned to school after a fun filled six weeks of summer holiday madness. Before the hot, sunny days of summer slip too far from the memory I would like to share a cake I made for a little girl’s vintage birthday party. 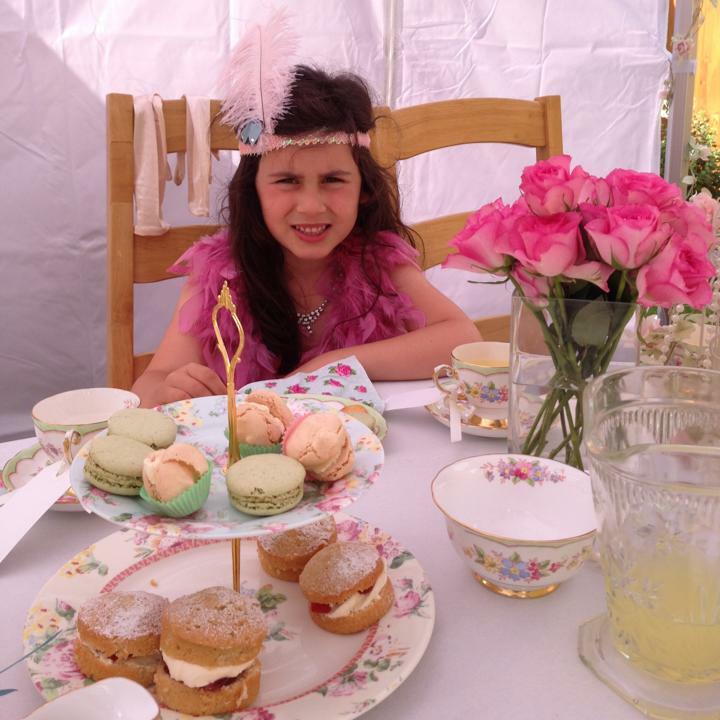 Amelia was having a lovely vintage tea party to celebrate her sixth birthday and I was asked to come along and decorate cupcakes with the guests, and to make a birthday cake to fit the theme. 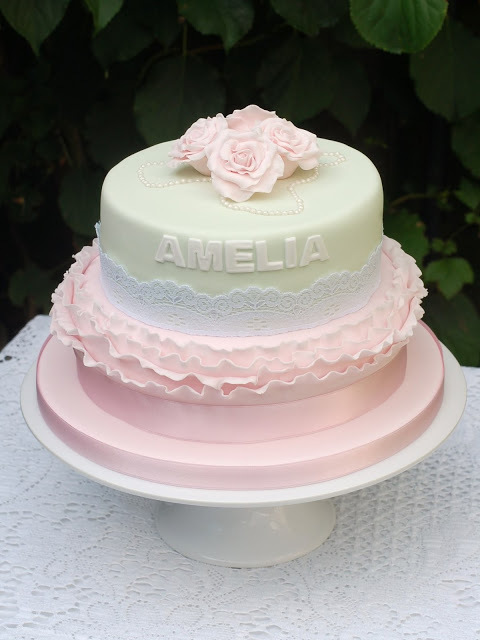 I was given free reign on the design, which pleased me immensely, and decided on handmade pastel pink roses and ruffles, with some pretty ribbon, lace and pearls to match. 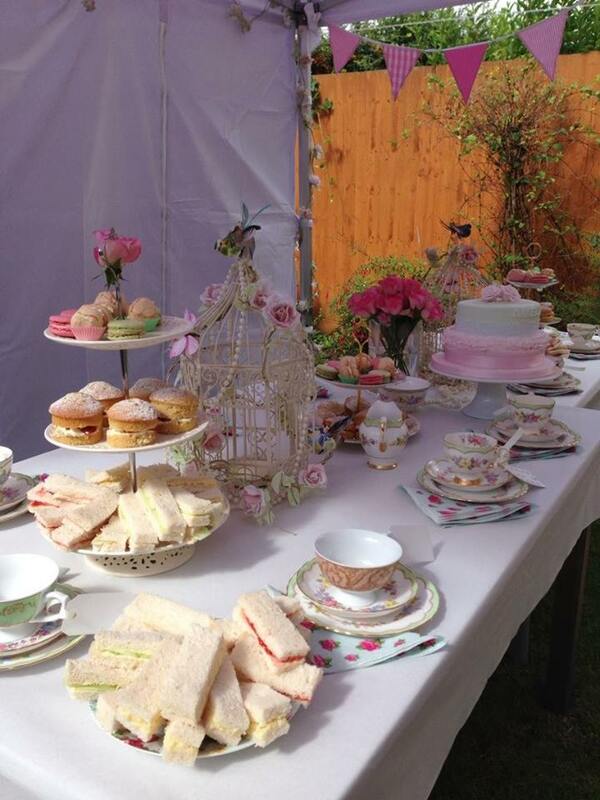 Amelia’s mum made all the food for the tea party and set up a beautiful table under a marquee. So Gorgeous were on hand to help with the styling, and provided some of the props. The guests dressed up in lovely flapper dresses, complete with all the accessories. One guest was a little disappointed that she had to remove her white gloves in order to decorate her cupcakes! The girls had a great time, and produced some beautiful cupcakes to take home. I hope you had a lovely birthday Amelia! That's adorable! So stylish, if I were a little girl I'd be bowled over by a cake like this. I bet her friends loved it. Makes a change from Moshi Monsters! Thanks Sarah. Cake is really awesome, looks beautiful. Flower on a cake really makes it look delicious.